Pay homage to the past without being too literal. Create a retro beach vibe by mixing vintage and modern designs. Tie the look together with complementary finishes and fabrics. For a fresh take, consider an all white backdrop with pops of color and tons of natural woods. 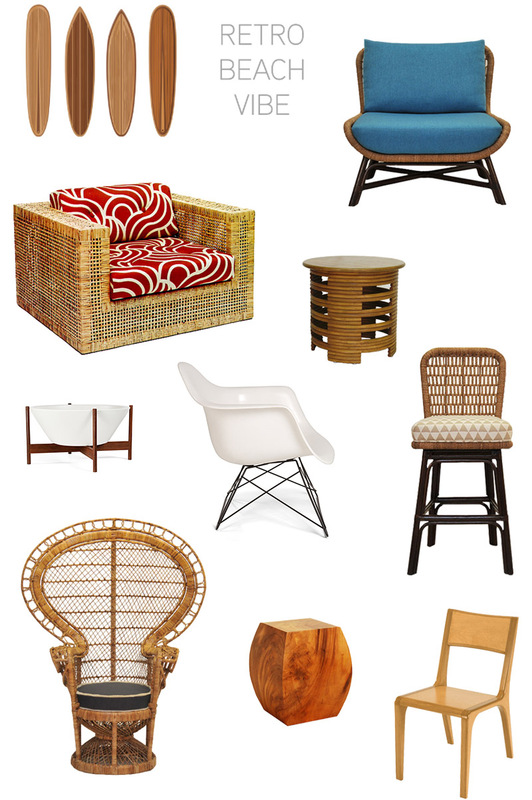 Mid-century modern pieces mixed in with tropical ones will give the space a more updated look. Create your own retro beach vibe with these mix and match styles.